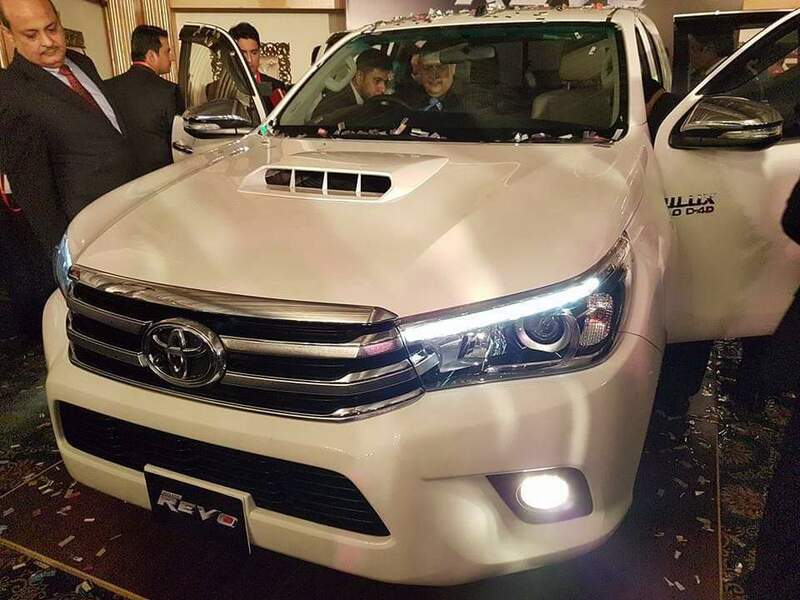 After months and months of speculations, rumors and reveals; Indus Motor Company officially launched the new Toyota Hilux Revo yesterday in Karachi. 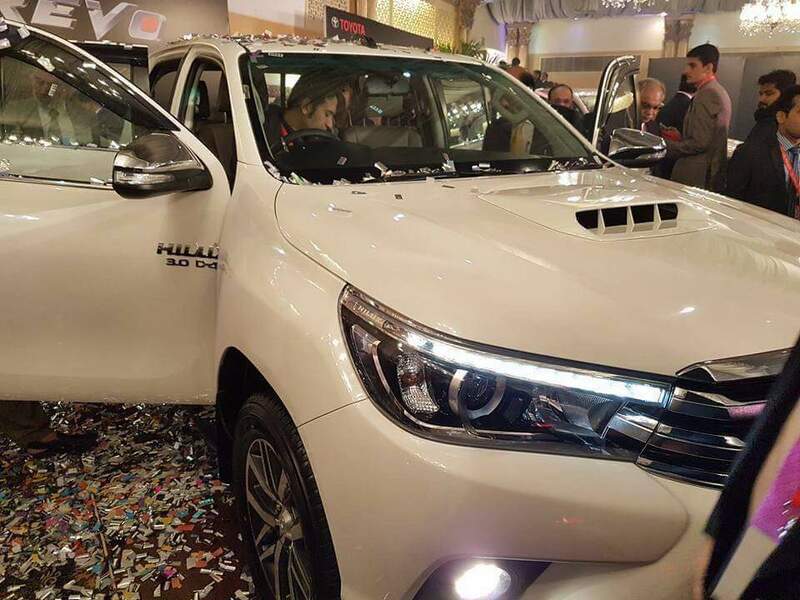 The company organised a launch event yesterday, in which the IMC (3S) dealership network was invited to the official announcement and launch ceremony for the arrival of this new Hilux Model in the Pakistani market. 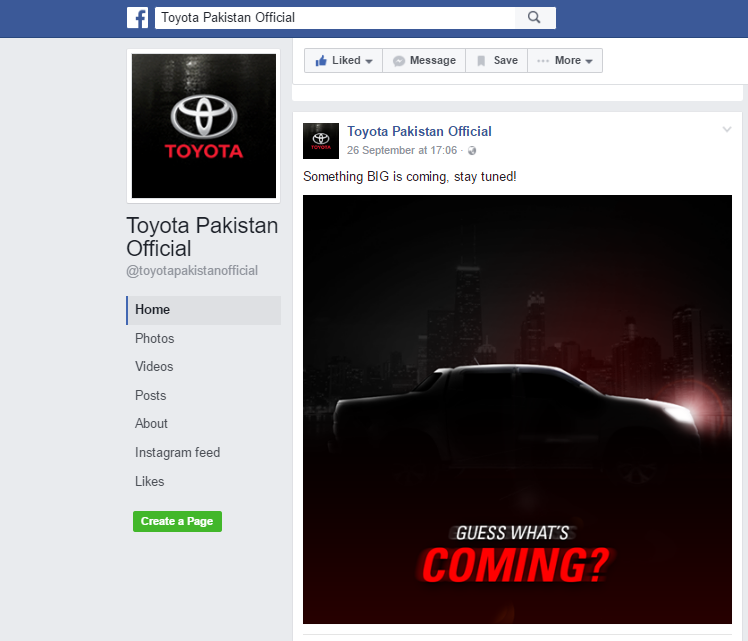 It is also worth mentioning that the company shared a post on 26th September, 2016 on their official Facebook page, which hinted at the possible release of the new ‘Hilux Revo’ very soon. An undisclosed source revealed that this new model is featuring a 3.0L Turbocharged 1KD-FTV engine. Apparently, the new model is receiving all around updates in its interior, exterior and the engine, which is good to see. 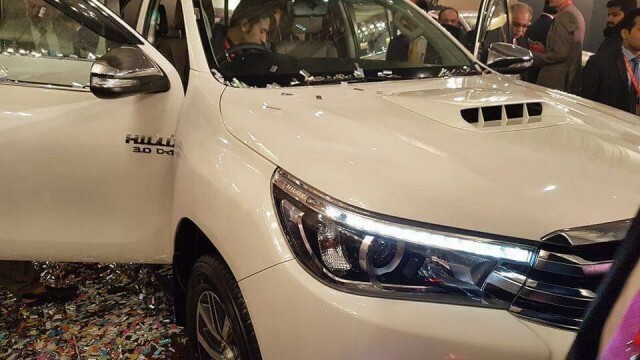 The new Hilux Revo is expected to be displayed at the (IMC-3S) dealerships in the market in October-November of this year. Stay tuned for more details as we will be covering this vehicle in detail in the coming days. Interior seems miles better than Current Corolla. Bloody stupid of Indus to stick the older 1KD engine in it! !The Revo now has moved onto the 2GD from the 1GD engine it was launched with.Indus should be sued!!!! Dear, GD diesel engines are of Euro4/5 emission ratings and require a lot refined diesel than pk available euro-2 diesel. Engine to barhai nahi pr price zarur barha deni hai. May be your right but even this 1KD was introduced in 2000 when EU was following Euro-III emission standards. You don’t need an undisclosed source to read the 3.0 D4D badge on the door. Man!! These Companies only care about The Top Elite Class of country, First Honda with 3Million+ Civic & Now them! We don’t see Toyota Yaris in near future or any other mid range vehicle from any of the Local assemblers, & then they cry about that the government don’t give them any chance! City is still Old, Almost in all of the Asia City is Updated, But why don’t they give a darn other than Top Elite!! I wish someday they’ll learn to be a Real Caring automotive company, They can never change!!! I feel sorry for them!! Thumbs Down!!! You can get a Toyota Tacoma in Canada. What is wrong with Imc seriously I am hurt. With everything right they do something wrong. 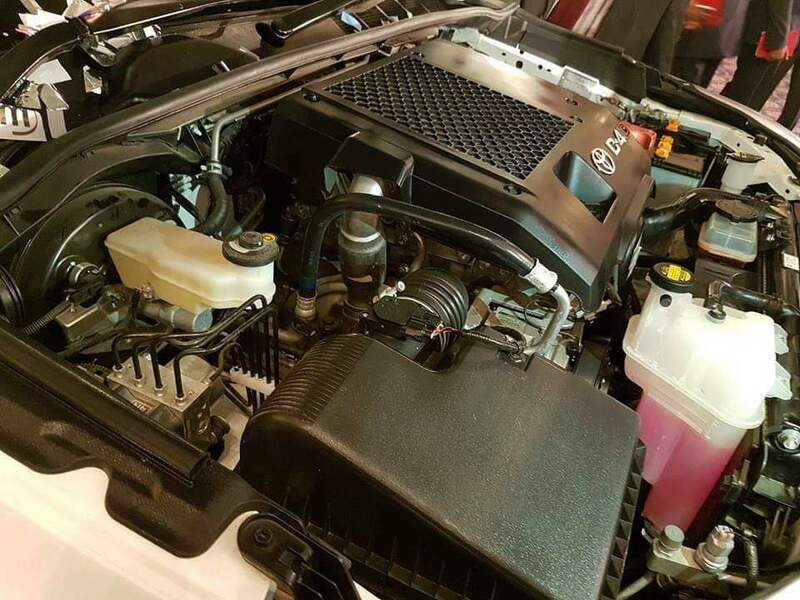 Why not the 2.8 gd diesel engine. It is more powerful more refined. Better fuel economy. Much less cabin rattle. All this refine diesel required is crap. If they can launch the Face-lift cruiser with diesel engine then they could have launched the gd series engine. They will launch gd series but after some time. I wanted to buy this car but because of the engine I guess I will delay it. They are saving money by using some engine parts from the previous 2kd of vigo champ. Imc stop making us a fool and provide us with quality vehicles. The transmission is also going to be 5 speed where as the 2.8 has 6 speed auto transmission. I have a friend who bought the imported revo with gd engine and his pick up runs perfectly on Pakistani diesel. Why Imc whyyyyyyyyy. Omgggggg Imc forgot the push button Starttt. Ufffff seriously. Disappointment throughout. 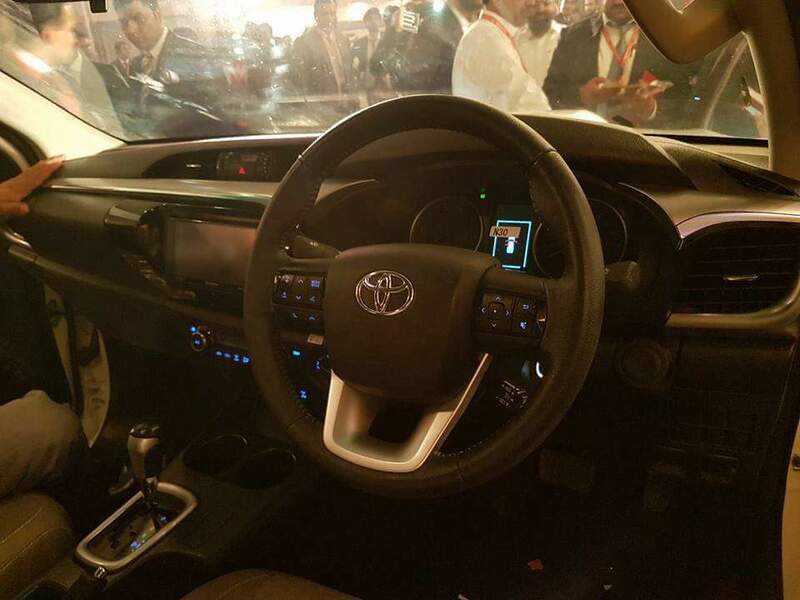 Wow, Indus motor company launched the new Toyota hikux revo, must be crap and expensive. Pakwheels wasting their words and blog space by writing about something that could be done in just three lines, just as I did. Both of these manufacturers (Toyota & Suzuki) are trying to make us fool. people have good awareness about vehicles now, therefore, it is highly desired that suz & toy change their behavior towards us and provide vehicles which meet international standards like imported cars. also government should take particular action against these dacoits…………. Everyone please stop regurgitating “GD engine can’t run on Pakistani diesel”. You clearly haven’t noticed the imported diesel vehicles running in this country. Vehicles themselves are fine. Engines too. Those who purchase these neglect regular, periodic maintenance. Those who maintain the fuel system properly (eg. changing filters on time and using good quality engine lubricant) those vehicles are still running good. That is because you have not kept the vehicle yourself and are just out heaping scorn on Toyota. Really! It is the Toyota that changes auto industry dynamics in the 90s’. Just because you love a Honda, does not mean we all do. 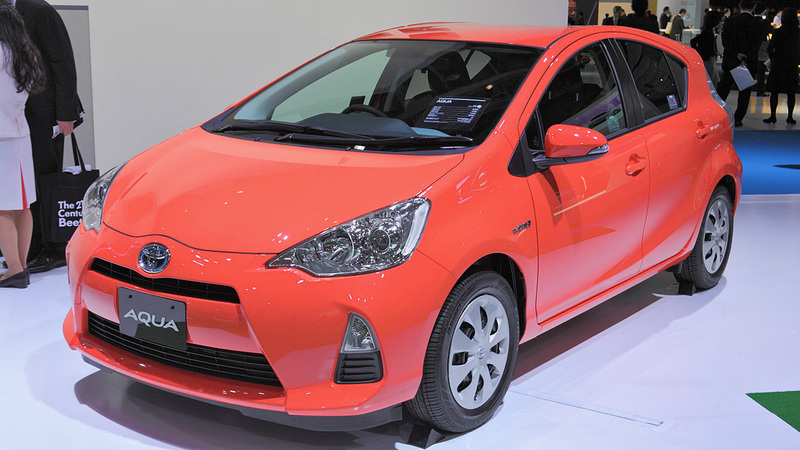 Which region have seen a Toyota being ousted by the South Korean companies. Perhaps in some Punjab’s village, where choudries want to appear different from the general public. you are right, though these vehicles require ULSD but still run good on the diesel available here. these were made notorious because the Toyota’s first d4-d engine of which equipped hilux were imported here had a design flaw related to its injectors position that was corrected in later iteration but our people once declare something “Phail Technalagy” never give it another chance. though these vehicles require ULSD but still run good on the diesel available here. these were made notorious because the Toyota’s first d4-d engine of which equipped hilux were imported here had a design flaw related to its injectors position that was corrected in later iterations but our people once declare something “Phail Technalagy” never give it another chance. That flaw affected engine’s worldwide but our dealers linked it to diesel available here. Toyota treats us like a dumping ground for outdated stuff. No automotive company and no transport company is real caring. Even if you look at the USA, which has set examples in pretty much everything and is the biggest market for automobiles, look at the resistance from the American automakers. How they resisted seat belt, how they resisted radial tyres, how they resisted fuel efficient smaller engines, how they refrained to act in the Ford Explorer Firestone fiasco. And look at the Japanese companies at what they did in USA, how they refrained from acting over the unintended acceleration issues, until the government pressurized them to do so.